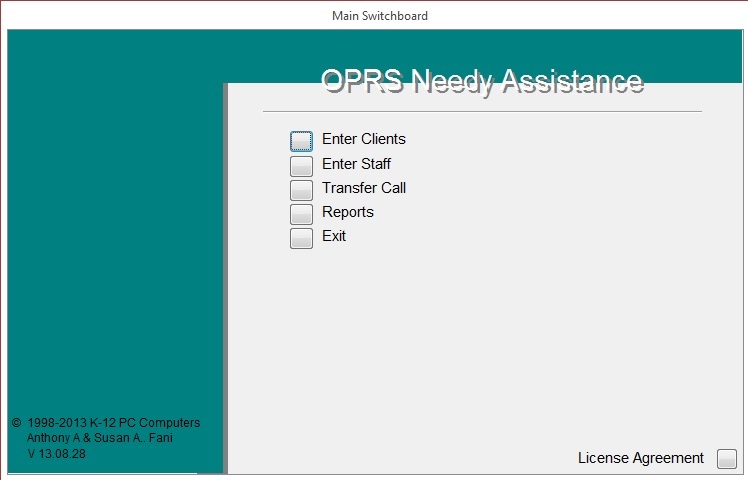 OPRS Needy Assistance provides parishes a way to record important information on the work done to assist those in need. Track the volunteers that staff the assistance program record calls for assistance and what action was taken. Record clients that request assistance and what services have been provided. The reports on stats about the services provided can be helpful for informing administrators and parishioners of the good work their generosity is doing.